Memorial services for Sophia Jane Hancock, 89, of Lufkin, will be held Thursday, August 23, 2018 at 10:00 a.m. at the PineCrest Retirement Community Chapel in Lufkin. 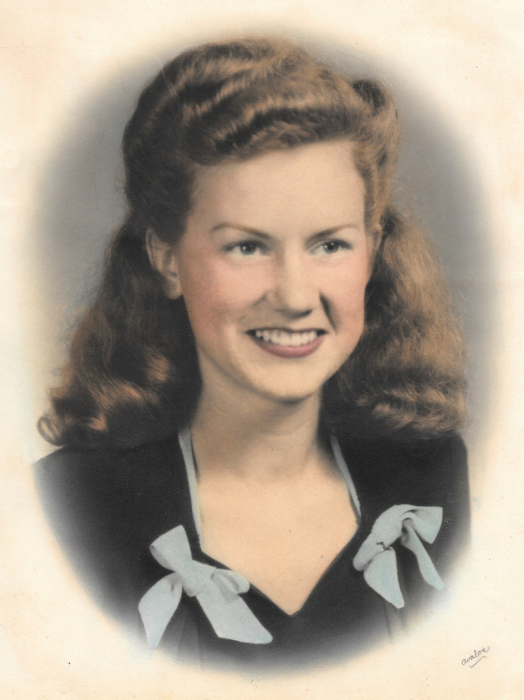 Mrs. Hancock was born January 26, 1929 in Garrison, Texas, the daughter of George Lowrance and Jenny Oxsheer, and died Saturday, August 18, 2018 in Lufkin. She loved to send cards to family and friends, she was a faithful Godly wife, mother and grandmother. Texas; son Don and daughter-in-law Nancy Hancock of Bryan, Texas; her grandchildren, Kelly and husband Scott Schumann of Bellville, Texas; Stephanie and husband Michael Stouber of Colorado; Amber and husband James Japhet of San Antonio, Texas; Brandon and wife Crystal Hancock of Kerrville, Texas; Justin and wife Corissa Hancock of Houston, Texas; Shianne Hancock of San Antonio, Texas; Mason Hancock of Spokane, Washington; Shannon and husband Gabriel Graf of Vienna, Austria, as well as numerous great-grandchildren, nieces and nephews. She was preceded in death by her son, Mark Hancock, her parents, 3 brothers and 6 sisters. Special memorials may be made to Hospice of the Pines, 1504 W. Frank Ave., Lufkin, Texas 75904. The family would like to extend a special thanks to the PineCrest Retirement Community nurses and nurse’s aides, as well as to the staff of Hospice of the Pines.